Consumer marketing changes constantly--no news there. Keeping up is another story. Tactics and thinking that were progressive and results-oriented yesterday are passé and ineffective today. To make matters worse, franchisors are also battling an increasing glut of media channels, confusing new technologies, and competition from all sides. No one understands these challenges better than the franchise CMOs and marketing executives on the Franchise Consumer Marketing Conference's advisory board, who deal with them every day. The board took all these challenges--and more--into account when they developed the theme of this year's conference: "Change: The New Marketing Currency." The fourth annual conference, held in June at Atlanta's InterContinental Buckhead Hotel, attracted top franchise marketing executives for two days of jam-packed education, sharing, and networking, all seeking to gain an edge on their competition and learn about the latest strategies and techniques in the world of consumer marketing. Conference Chair Heather Neary, CMO for Auntie Anne's summed things up early by saying, "If you're not green and growing, you're ripe and rotting." The conference kicked off Tuesday with two all-morning boot camps. The first focused on marketing in a digital world and was divided into four parts: online marketing, mobile marketing, loyalty programs, and social media. Ed Waller, vice president of CRM at CertaPro Painters and former conference chair, facilitated as panelists provided real-world examples of their struggles to find solutions for maximizing marketing dollars and results. Phillip St. Jacques, a partner at St. Jacques Marketing, facilitated the second boot camp, which explored how to create cross-functional strategies to gain buy-in from customers, franchisees, franchisee prospects, and other stakeholders, including employees and suppliers. Conference Chair Heather Neary then introduced Tom Epstein, CEO of Franchise Payments Network, who spoke on the State of Consumer Spending. Reporting on the numbers, he said consumer use of checks and credit/debit cards is down from 2010, and the use of ACH and prepaid gift cards is up; and that online purchases are beginning to fall as mobile purchases rise. And while "franchising has adopted mobile more quickly than corporate businesses," he said, "consumers want more mobile than companies are providing." Customers in loyalty programs, he said, spend 17 percent more and visit 50 percent more than non-members. He also discussed the increasing effect of smartphones and tablets on how consumers do business; the benefits of geofencing to drive customers into stores; and once they're inside, iBeacon's in-store messaging capabilities "to get people in the store to do something they normally wouldn't"; for example, beaming out a message such as, "Hey come back to sweaters! Did you know they're 50 percent off today?" Next up was Jeff Link, CEO of Analytics Media Group, who played a key role in the 2012 Obama campaign's use of big data and micro-targeting by figuring out how to reach the precise subset of undecided voters they wanted and targeting ads specifically to them. "Marketing should be target-specific," he said. "Figure out the group you want to reach and go after them." That is, if you know how. While the Romney campaign outspent the Obama campaign nearly 10 to 1 on advertising, Link said they weren't spending in the right places. "We knew we were going to be outspent, so we traded reach for repetition," he said. "We found a lot of gold at the long tail of cable." He surprised many attendees as he described how DirecTV and Dish Network now allow advertisers to send commercials to specific set-top boxes based on selected household demographics. Example: even if you and your next-door neighbor are watching the same show on the same station, you might see different ads. "They load the ad onto the set-top box. We were agnostic about which show they played on," said Link. Franchise marketers with a limited budget (and whose isn't?) could benefit by applying some of these tactics to their own marketing strategy. The rest of the afternoon was filled with concurrent breakout sessions divided into four tracks: Start-Up/Evolving Brands & Markets, Marketing Execution, Blending Old and New School Media Strategies, and Create and Keep Positive Brand Buzz. In the Blending Old and New School Media Strategies session, a packed room heard David Buckley, CMO for Sears Hometown & Outlet Stores, Emma Holahan, digital marketing director at CertaPro Painters, and Valerie Kinney, director of communications for Auntie Anne's hold forth on what's working and what's not in their social media efforts. The day wrapped up with a marketing roundtable challenge session that provided ample opportunity for discussion and interaction among participants. With their work behind them, attendees returned to the Sponsor Networking Gallery to close out the day with a welcome reception and additional time with vendors and peers to explore the new technologies and other marketing solutions on display. Wednesday began with breakfast in the Networking Gallery, followed by the day's keynote speaker, Luke Williams, who delivered a wide-ranging discussion on the importance of innovation in business success. Williams, professor of innovation at NYU's Stern School of Business, is the author of the best-selling book Disrupt. "If you're interested in growth, you must be interested in innovation," he said. "Ideas are the recipes for increasing returns." His overall message was not to become complacent with success. "The pace of disruptive change is accelerating in every industry," he cautioned. Staying on top of it, he said, means seeing the world differently every day. "Disruptive thinking," he said, "can change the way you think about your business--and your competition." Frandata President Darrell Johnson followed with his annual State of the Industry report. Building on Williams's theme, he asked, "Will the economy offer franchising a disruptive opportunity in the next few years? I think yes." The economy, he said is in "modest slow-growth mode" with GDP expected to remain below 3 percent for the next 3 years. Some modest good news: consumer confidence is "reluctantly rising," consumer spending is trending upward, and housing is coming back slowly (however, the 19 percent of homes remaining underwater still need to clear the system). He said the credit box has eased somewhat, but "nowhere near has compensated" for the tightening of 2007-2009. 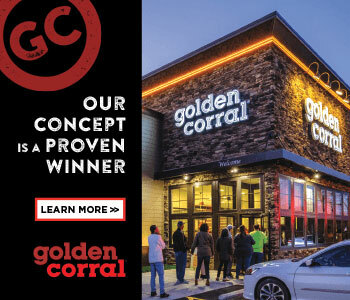 Implications for franchising include: 1) more pressure on market share in a slow-growth economy; 2) growth increasingly from M&A, with large franchisees getting larger; 3) Baby Boomer retirement accelerating, ushering in the Millennials and increased spending on technology; and 4) profitability emphasizing cost efficiencies. At the brand level, he said, brand distinctions will assume greater marketing importance. Two more rounds of concurrent breakout sessions completed the morning, including: Ad Fund Contribution and Management, Strategy and Plan Development, Print and Direct Mail, Ensuring Quality Customer Experience Across Disciplines, Growing into Media Efficiency, and Building Brand Infrastructure To Support Your Customers (Consumers and Franchisees). Following a final opportunity to meet and greet in the Sponsor Networking Gallery over lunch, attendees convened for a final general session called Cause Marketing: Brands that Give and Get Back. Molly Maid President Meg Roberts facilitated a discussion featuring Hungry Howie's vice president of marketing Jeff Rinke, Jersey Mike's CMO Rich Hope, and Massage Envy's CMO Susan Boresow. Each told the story of how their brands became involved in causes and communities across the country. "The cause must predominate," said Roberts, "not the mutually beneficial profit. Awareness of the brand is a by-product." Or as Hope put it, "You don't give to get, you give to give." Their inspiring stories and videos showcasing some of the people they've helped provided ample--and emotional--fodder for the marketing executives to take home to their management team. Four additional breakout sessions followed on how to improve cooperation between the marketing and sales teams; execution and measuring results; broadcast and outdoor advertising; and crisis communications. The conference concluded with an entertaining, participatory "mindshare" session on the new marketing currency (change, remember?~). Led by Jayson Pearl, chief brand officer at BrightStar Care, attendees gathered into teams and competed to come up with the best solutions to a common challenge and then present them to the group and a panel of judges. A closing dinner at nearby Maggiano's Little Italy brought the proceedings to a celebratory close as attendees relaxed over a family-style Italian dinner, getting in their final visits with friends old and new, and saying their good-byes until next year. Whet your appetite? Wish you were there? 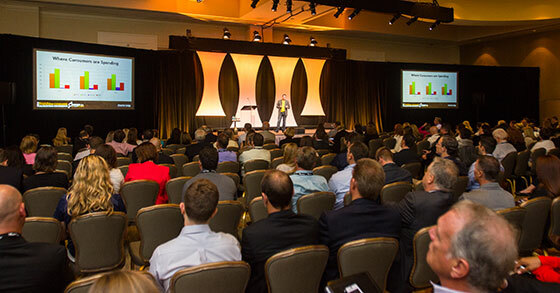 Plans are under way for next year's 5th annual Franchise Consumer Marketing Conference. To find out more visit, www.franchiseconsumermarketing.com.